In the last few years, the rapid growth in mobile money account ownership has established a new launchpad for the digital economy in emerging markets. As a part of this new economy, digital credit has been instrumental in giving significant numbers of people first-time access to formal borrowing options, along with unprecedented levels of convenience and reduced financial vulnerability. Many of these borrowers are entrepreneurs or self-employed, often with low incomes. The theory goes that this increased access to digital finance should translate to an increase in economic inclusion and development: more resilient households, job creation and thriving micro and small businesses. 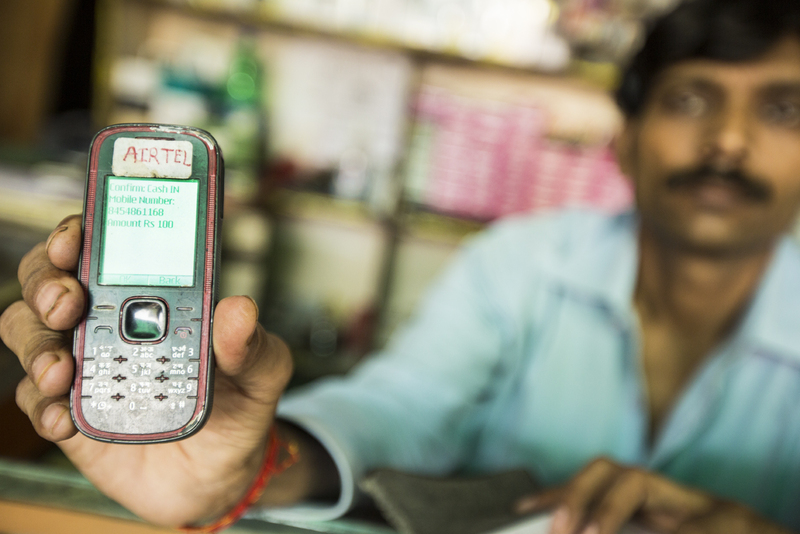 These outcomes are indeed possible–when we get digital credit right. However, despite enormous strides in the provision of digital loans, the credit gap for individuals and micro-, small and medium enterprises (MSMEs) in emerging markets persists. Supply still fails to meet demand. Also, where credit is available, voices mount around important issues such as vulnerable segments being left behind, insufficient controls to manage over-indebtedness, lack of transparency, inappropriate enforcement techniques, and poor customer marketing and support practices. This essay explores contributing factors to the lag in digital credit completely fulfilling its promise. It offers four focus areas to help the sector return to its true north and tackle some of the unintended consequences of the first wave of digital credit innovation. In the end, it suggests that at the core of getting inclusive digital credit right is a return to customer value—and intentionality around inclusiveness in the design and delivery of products. As a practitioner, I am fortunate enough to spend a lot of time in the field speaking with customers who use or would like to access digital financial services (loans, savings and insurance), many of these customers are new to the use of mobile money and in some cases even new to mobile devices altogether. We often speak broadly about these customers’ financial needs and aspirations, in addition to testing new product features, benefits and user journeys. In the many hours I’ve spent in the field in multiple countries in Africa and Asia, I have yet to meet a customer who asked, “so, how is it going with getting all of us “included”? Instead, customers ask questions about how they can qualify, how products work, or if they can get bigger loans for their businesses and more time to repay. They show an interest in tools that can help them grow their income, run their businesses better and reach their goals sooner and more cost-effectively. Even in markets like Tanzania, where over one-fifth of mobile users have used digital credit products, the questions are the same. As one customer, a duka (small shop) and restaurant owner once told me “my phone is my bank,” setting high standards for the types of services she expected to be possible on her tiny feature phone device. Customers want digital financial services to be shaped in a way that moves their personal life situations forward and delivers real utility. They do not see the provision of these services as merely a social impact obligation on the part of providers. We need to look for the building blocks that will help us bridge the customer value gap, as we build a digital credit market that includes more customers in the formal economy, on their terms, and in a way that allows them to achieve individual financial health and economic prosperity in an enduring manner. This sustainability is essential in a context where many customers are already vulnerable to shocks, including financial, social and political ones. I believe that the following four focus areas are critical to bridging this gap and getting digital credit right for customers. Much has been made of the use of mobile (big) data in the creation of credit scores for hitherto financially excluded customers. However, it is important to note that, while this is not the intention, many customers will be left behind by digital credit models that focus solely on such data as a means for qualification. Such models do remove access barriers, such as requirements of proof of address, income and so on, but they do not address many other economic, technological and social barriers that customers in emerging markets face. Customers who live in extreme poverty (under $2 per day)–the bottom billion–have limited funds to spend on phone calls and other mobile activity required to generate the data footprint often used in initial digital credit scoring algorithms. Similar economic factors and other social factors that lead to lower active and advanced mobile usage among groups like women, rural residents and farmers, mean that they too are more likely to be left behind if there is an over-reliance on these data points. The other issue is technology as a barrier. While emerging market smartphone penetration is rising, take up is not balanced. Many customers are still on feature phones, which can access the internet but lack full smartphone functionality, and are highly sensitive to transactional costs associated with the purchase and use of smartphones. As a result, for these customers, credit that is only available via smartphone apps is inaccessible. It is essential that the digital credit products offer a wide range of low-cost access options in addition to apps. Data points that carry a cost for the customer to generate will exclude the customers and communities with limited liquidity. These segments need to be served too, even if they have less disposable income, lower confidence with mobile usage, lighter digital footprints, and more basic –or even shared–devices. Indeed, we know they want to be visible, and many are creditworthy, but they cannot afford the costs of access to a credit score. Getting credit right will require providers to start thinking: “Mobile data is one doorway, but it’s not accessible to everyone. What are the other doorways?” Availability of digitized data, especially in Africa, remains a challenge. This notwithstanding, we are starting to see some exciting new models that use alternative behavioral data to open new doors for customers. Some examples include PAY-Go solar repayment data, retail data and agriculture-related data. No doubt many new partnerships will emerge in this space. Many mobile credit users still use feature phones. While we cannot expect providers to make their IP or credit algorithms public, surely the opaqueness in the current models needs to be addressed so that customers are not wrestling their way through qualifying structures with no visibility on whether they are close to qualifying or not. Indeed, much of our work on developing our JUMO Score and JUMO Points products has been driven by the fundamental belief that the platform needs to give the end-user more access to alternative ways of making themselves visible and also more insight into how we view their performance. This transparency matters to customers and has implications for healthy repayment. We need more doorways to access digital credit and more transparency with regards to eligibility, qualification and terms. To get digital credit right, we need to move a focus on increasing reach to new groups. We need more doorways to access digital credit and more transparency with regards to eligibility, qualification and terms. This is integral to empowering customers and allowing them to unlock more value from their digital footprints. While the majority of borrowers in emerging markets are self-employed or micro-entrepreneurs, a significant fraction of their loan use is for emergencies, cash flow smoothing and household expenses. Consequently, a frequent critique of digital credit is that it fails to promote economic development through MSME growth due to the diversion of funds to non-business uses, especially consumption. A suggestion has been that if loan sizes were more meaningful, then business loan use would increase. I believe this is true to a certain extent, but the reality is that there is high fluidity between the business and personal lives of micro-entrepreneurs, especially sole-proprietors. So, given how financially vulnerable many of their enterprises and households are, the frequent misalignment between the incurring of expenses and receipt of income means that there will always be a significant level of loan use that is non-business. It is also worth noting that for customers, especially low-income customers, the dignity of being afforded privacy in the borrowing process and being able to choose how they spend the money is often empowering and valuable. That said, there is a clear need for more meaningful and relevant choices. Unfortunately, in some markets, especially in Sub-Saharan Africa, the evolution of digital credit products has not been fast enough. Loan sizes and terms are important considerations. For example, there is unmet demand from MSMEs for credit to finance income-generating assets, such as machinery or upgrades to business premises. Achieving this with the current digital credit products is problematic, as most of them do not meet the required finance values or address the high variability and unpredictability of the customer’s income. In the most extreme cases, such as farming, where income is seasonal, customers might still be expected to make a loan repayment within 30 days. Consequently, some customers may choose not to take these products rather than risk default, and others may take the loan accepting the inevitability of penalty fees as a necessary expense when there are no other viable alternatives. All these scenarios have implications for the customer’s credit history. This might lead one to ask why there are so few digital credit products that offer more flexible repayment terms in markets where there is limited formal employment? Another critical part of designing high-quality financial choices is keeping an eye on the customer’s end goal. One of the things I’ve observed with customers in our markets is that they toggle savings and borrowing. It is not an “either/or” for many of them – both are tools to reach an end goal, often the acquiring of income generating assets or assets that are a store of value (cows, goats, construction materials for building a home, etc.) There is significant value in offering customers good digital borrowing and savings options, and even insurance to allow them to make their own decisions on how to achieve their objectives. Digital credit products also need to give customers the means to increase their financial capability. The good news is that providers have made good progress in delivering SMS and in-app financial education. However, there is room for more investment in interactive and measurable customer engagement and support. Organizations such as Juntos have done much in this area to advance the use of engagement as a tool to make digital financial services more effective and enjoyable for end users. There is no reason why the digital credit customer experience should not be a delightful engagement, where customers feel well supported across touchpoints. It is within our power to avoid situations where people are excluded, inactive or perform poorly purely due to the limited design of the credit experience and choices provided to them. These need to be customer value imperatives in digital credit. There is no doubt that for the most part, the loan costs in digital credit have remained stubbornly high in many markets. The explanations are varied; I will focus on two aspects that I think are the most pertinent for inclusive digital credit in emerging markets. Firstly, for some providers, high pricing is driven by the high costs of capital and higher risks associated with serving the harder-to-reach segments where there is little or no data available. Secondly, for others, it is due to inflexible pricing technology, which does not allow for personalized pricing. These are two very different issues and with different potential remedies. The first is a structural issue in digital credit business models: many providers, especially in Sub-Saharan Africa, are reliant on foreign (USD) capital to fund their loan books. This foreign capital often requires a return on assets (ROA) that can be as much as two to three times higher than local banks (which may have mid-single digit ROA requirements). These are not the most efficient pools of capital to solve the customer value and inclusion problems we have described so far. One of these problems is the question of whether the most invisible (thin-file) people, who have few comparable alternative options, should still get digital credit – even if the cost to reach them is (at least initially) high. Having spent time with people in this segment, I have observed how digital credit often represents not just a solution to an immediate personal or business need, but often creates a feeling of dignity, where customers value the privacy and security of access, placing a high value on being empowered with the ability to make choices. If the answer to this question is “yes, they should have access too,” then the next step needs to be to find a way of lowering the prices of loans for these customers as well. These are business model innovation challenges for the industry, distinct from product issues. Fortunately, they are not without solutions. We see the leveraging of local balance sheets happening effectively in Asian markets such as India, where the growing digital credit market has relatively low interest rates. On the JUMO platform, we have also begun this transition in our African markets, where we operate inclusive banking service marketplaces. We are finding that local, well-capitalized balance sheets are as crucial as low-cost cloud infrastructure in creating the necessary conditions to deliver pricing value to customers on credit products. Pricing friction is the second major issue. Digital credit that is fair to customers does not apply blanket pricing and allows customers who have built up a good credit record to access better pricing as a reward. Secondly, when customers repay their loans early, they should be able to realize a reasonable pricing discount. On the ground, we find that for many customers their digital credit experience remains far removed from these two ideas. Sadly, there are digital credit products that continue to apply flat non-personalized pricing, and for customers such as daily fruit and vegetable traders in East Africa, early settlement is routine, but are still often required to pay a 30-day loan rate, even if they only borrowed for 2-3 days. Addressing these issues is a real and attainable opportunity to deliver value to customers. Many practitioners have pointed out the need for more flexible pricing mechanisms, such as early settlement discounts, personalized risk-based pricing, and so on. This is to ensure that customers are not merely price takers. I tend to agree, we on the supply-side of digital credit need to keep each other honest; when we talk about helping customers a create a digital financial identity and generate value from this identity; surely this needs to extend to them sharing the upside of their behaviors such as good repayment or even early settlement. Digital credit that is fair to customers does not apply blanket pricing and allows customers who have built up a good credit record to access better pricing as a reward. I would balance all this by noting an aspect of pricing that digital credit already gets right. When assessed holistically, the costs to access it, including all transaction and opportunity costs, are far lower than in traditional banking. Poorer customers and the self-employed cannot afford time away from their work or small businesses, or high travel costs, and they are generally able to access digital credit wherever they are, saving them both money and time. Unfortunately, these benefits are fragile and can erode quickly when digital transaction costs rise unexpectedly, for example, due to the introduction of new taxes on mobile money transactions and other mobile services. The costs of reporting and compliance are also likely to increase as the digital credit industry matures and therefore becomes more regulated. While this is good and welcome from a customer protection perspective, due care needs to be taken to ensure that customers are not left carrying the full cost of this provider compliance. Researchers and inclusion practitioners would do well to look at and more effectively standardize measurement of “total cost to access,” as it may well be a new reason people get left behind. Interestingly, pricing and “total cost to access” is probably the area that will potentially open up the digital financial services market to large technology companies who are looking to broaden their emerging markets footprint. Many of these companies may have limited constraints, armed with low cost of capital to reach the invisible segments, and also have significant technological capability to be more agile in product design. Perhaps, further inspiration for current providers of digital credit to respond to the issues raised here quickly. With large segments still unserved, it is clear that digital credit has not yet reached its full democratizing and empowering potential. For the customers who can access it, there are still unresolved frictions including, but not limited to, the quality of choices, costs and transparency. Besides this, there are many other issues that I have not touched on, such as data privacy, security and regulation. These too warrant attention, and the other essays in this series discuss them. It is important to acknowledge the progress made in the first wave of digital credit innovation. It is also worth celebrating the fact that the feedback from customers using these products provides us with many of the answers we need to ensure that digital credit realizes its full promise of inclusive growth and development. In the different deployments of digital credit across emerging markets, there are also more lessons in what works and what does not create customer value. These strands of customer feedback and live studies in product design, service delivery, financing and business models, offer a solid base to fix forward. I have advocated for a focus on seriously addressing the issue of those left behind, creating new doorways to access that are easy to find, designing meaningful financial choices and innovative approaches to financing digital credit and pricing strategies that lower costs of access for customers. The golden thread in all of this is returning to the why: customer value. Our “true north” is the customer context and what customers are trying to achieve in their lives with these products. An intentional focus on inclusiveness by design and pushing boundaries to deliver more customer value will ultimately help the actors in digital credit to address any unintended consequences more effectively and ensure we get credit right for customers.